Anyone interested in the War Between the States knows that Memphis is the site of many historically significant events. Tennessee ranks second in the number of battles that took place there (Virginia, of course, had the most). It isn’t surprising that, over the course of over 150 years, many places have disappeared beneath strip malls, golf courses, or kudzu. Some, however, still remain intact. Stephanie: I would like to welcome back J.D.R. Hawkins for a follow up interview about her B.R.A.G. Medallion book, “A Beautiful Glittering Lie.”. She is an award-winning author who has written for newspapers, magazines, newsletters, e-zines and blogs. She is one of a few female Civil War authors, uniquely describing the front lines from a Confederate perspective. Ms. Hawkins is a member of the United Daughters of the Confederacy, the International Women’s Writing Guild, the Mississippi Writers Guild, Rocky Mountain Writers and Pikes Peak Writers. She is also an artist and singer/songwriter. Her two previous novels, A Beautiful Glittering Lie and A Beckoning Hellfire, have received numerous honors and awards. Ms. Hawkins is currently working on a nonfiction book about the Civil War, as well as a Young Adult historical fiction and a memoir. Learn more about J.D.R. here. Hello, J.D.R.! Thank you for visiting with me again to talk about your B.R.A.G. Medallion book, A Beautiful Glittering Lie. Please bring readers up to speed about the premise of your story. J.D.R. : The novel is the first in a four-book series, which I call “The Renegade Series.” It’s a saga about the Summers family from North Alabama, and what happens to them when the Civil War erupts. Stephanie: I think it’s great that you have written a story about a Southern Soldier & a family rather than an officer or strictly about warfare tactics. I believe you bring readers closer to the events that took place during that time by doing so. What are a couple of this soldier’s struggles he faces during the Civil War? J.D.R. : The first struggle that the father, Hiram Summers, faces is whether or not to support Alabama when the state secedes. The second is leaving his family once he decides to enlist. And from that point on, surviving every battle, from First Manassas to Fredericksburg, is a struggle. Stephanie: In my last interview with you, you said that part of your research was travelling to various battlefields. What are the names of the battlefields you visited and what were some of the thoughts and emotions you experienced? J.D.R. : My husband and I visited many Virginia battlefields, including Manassas (Bull Run), Sharpsburg (Antietam), Chancellorsville, Fredericksburg, Spotsylvania, and Petersburg. We also went to Brandy Station, where the largest cavalry battle of the Civil War took place. And, of course, we went to Gettysburg. That battlefield was the most profound. How those foot-weary soldiers fought over such rugged terrain amazes me. And seeing the National Cemetery, with all the unknown soldiers’ markers, as well as the mass graves of the Confederates, was overwhelming. So many gave their lives, and that was just in one battle. Stephanie: How long did it take to write your story and what were some of the challenges? J.D.R. : It took me about six months to research and six months to write, so a year overall. I think the biggest challenge was trying to make the battle scenes come to life from a soldier’s perspective. 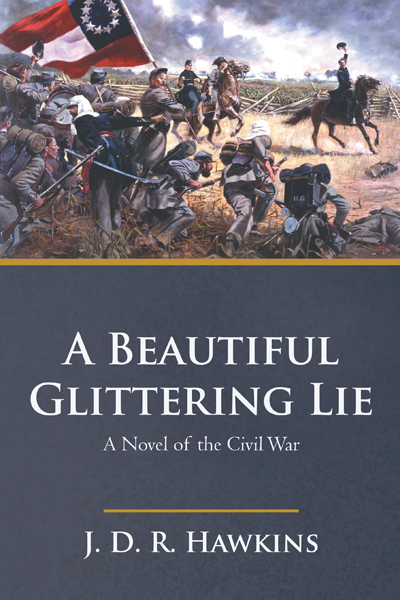 A Beautiful Glittering Lie is based on a journal by one of the soldiers who fought with the 4th Alabama Infantry Regiment. By referring to his observations and perceptions of the battles he participated in, it was easier to visualize what those men went through. Stephanie: Did you learn anything new about the Civil War in your research you didn’t know before? J.D.R: I discovered much about how Alabama was affected by the war. Hiram’s son, David, sees firsthand the devastation taking place when he sneaks into occupied Huntsville. Union soldiers were not always gentlemanly in their treatment of the locals, women, and especially, black people. The scenes described in the book, as well as the Union officers who were in Huntsville and the surrounding area, are based on fact. Stephanie: What about this period of time in American history impacted you the most to write this story? J.D.R. : I have always been fascinated with the Victorian era, and the Civil War in particular. The war was not completely about slavery, which is a popular belief. The causes were far more complex, but basically, the war was a result of economics and political greed. As is the case in many instances in American history, citizens become pawns to politicians’ schemes and disagreements. Stephanie: Which character in your story are you most partial to and why? J.D.R: I’d have to say that I’m most partial to David. At the beginning of the story, he is just a teenager. Instead of going to fight, which is what he wants to do, he stays behind to tend to the family’s farm, thus fulfilling his promise to his father. However, like any teenage boy, he is hungry for adventure, so he goes off to find it, but bites off more than he can chew. Stephanie: Writing Historical fiction can be tricky with blending the right amount of fiction with fact. What advice would you give a new writer wanting to do so? J.D.R. 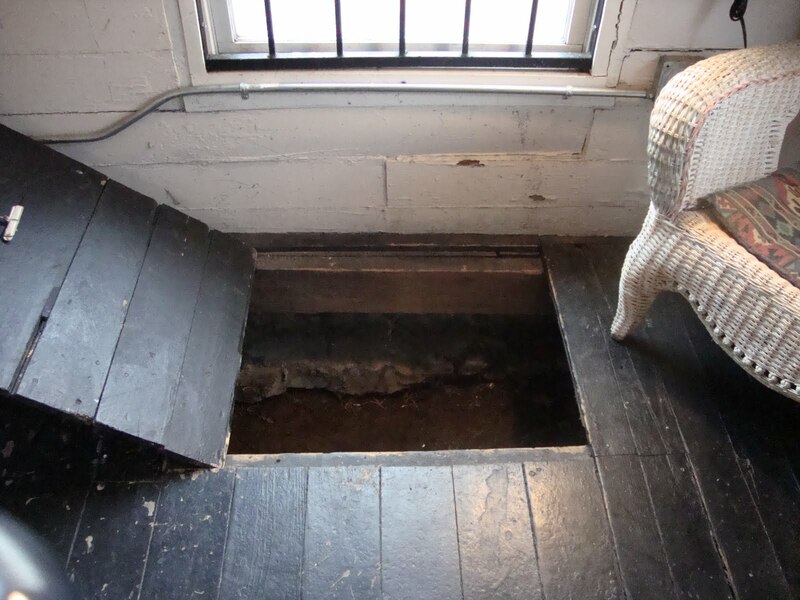 : My advice would be to immerse yourself in the period you want to write about. Read letters, journals, speeches, newspaper articles, and books written about and during that era to get a feel for what people experienced and how they expressed themselves. Study the fashions, the political undercurrent, fads, music, artwork, and photographs. I listened to Civil War music while I wrote to get myself in the right mindset. Know your facts inside and out, but don’t go overboard with description, because that can bore your readers. Instead, sprinkle tidbits throughout your book. Once you are completely familiar with the era you want to write about, develop your plot. Let your characters grow with the story. I ended up writing things that weren’t in the original outline because my characters seemed to take on personas of their own, especially in their dialogue. If possible, visit the places you are writing about to learn the terrain, the architecture, and regional dialects. Stephanie: What is up next for you and will there be more stories that take place during this period? J.D.R. : I plan on publishing the third book in “The Renegade Series.” (The second book, A Beckoning Hellfire, has been published.) I’m also working on a nonfiction book about the Civil War, a Young Adult novel, and a memoir. J.D.R. : I learned about it from Writer’s Digest magazine. J.D.R. : The book is available everywhere. It can be ordered through Amazon, Barnes and Noble, and at all other book retailers. Readers can also purchase it through my website. We are delighted that Stephanie has chosen to interview J.D.R. Hawkins, who is the author of, A Beautiful Glittering Lie, one of our medallion honorees at indieBRAG . To be awarded a B.R.A.G. Medallion TM, a book must receive unanimous approval by a group of our readers. It is a daunting hurdle and it serves to reaffirm that a book such as, A Beautiful Glittering Lie, merits the investment of a reader’s time and money. Today marks the anniversary of one of the Civil War’s most influential and controversial commanders, Nathan Bedford Forrest. Born on July 13, 1821, Forrest rose to fame after enlisting as a private in the War Between the States. Because of his outstanding, strategical military mind, he advanced to general during the course of the war. 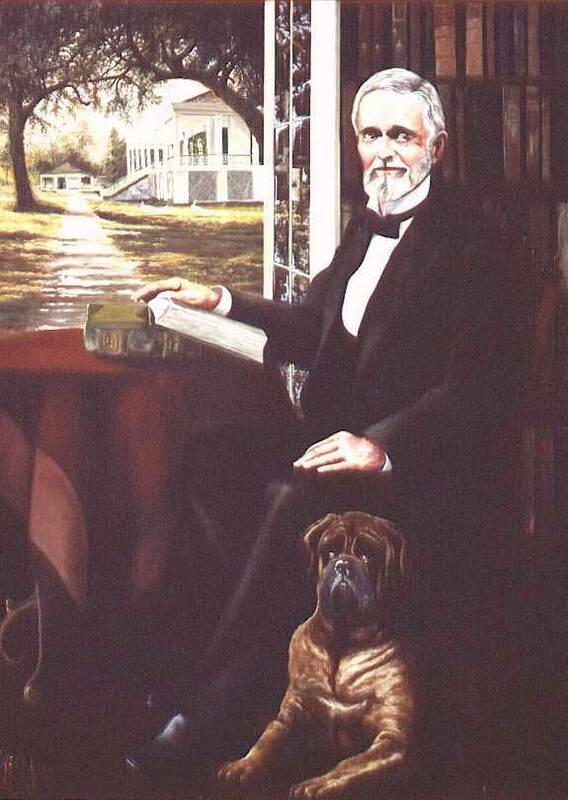 Originally buried in Elmwood Cemetery, his body was disinterred to Forrest Park in Memphis in 1904. Every year, a ceremony is held to honor this special man and significant Confederate leader, and this year is no exception. 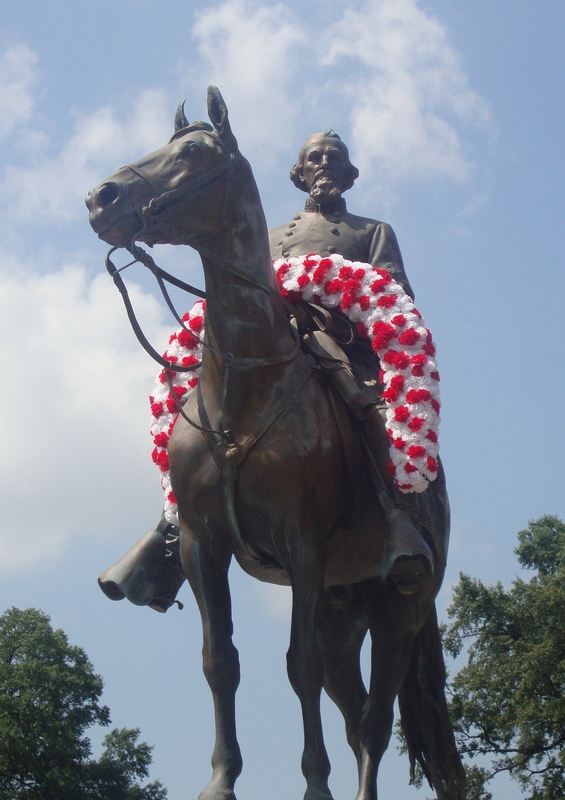 Members of the Sons of Confederate Veterans and United Daughters of the Confederacy will be at the park today to pay special homage to this amazing man. (AP) The skull belonging to a Civil War soldier that was found at Gettysburg will not be auctioned off after protests from the National Park Service and the public. Instead the auction house has donated the remains to be buried with military honors. Estate Auction Co. of Hershey, Pennsylvania, had listed the skull for sale at auction Tuesday in Hagerstown, Maryland. The listing was removed from a public auction website and replaced by a statement saying the auction company was donating the skull to the Park Service. “At the auction company’s request, it remains as part of the catalog due to its historical value,” the statement said. Gettysburg National Military Park and the nonprofit Gettysburg Foundation said Tuesday in a news release that the remains had been donated to the foundation late Monday. After they are authenticated, they will be donated to the park “for interment with full military honors in the Soldiers’ National Cemetery at Gettysburg,” the announcement said. The park and foundation said auction organizers had been ‘overwhelmed’ by ‘an unprecedented outcry from concerned citizens. Gettysburg National Military Park superintendent Ed Clark said in a statement that officials were grateful for the opportunity ‘to honor what is very likely an American veteran and have his final resting place recognized. The auction site said the remains were found in 1949 as a garden was being tilled on the Benner Farm in Gettysburg. Notarized and handwritten documents said the remains, along with 13 other artifacts, were found two miles north of a barn used as a field hospital during the Battle of Gettysburg, Taylor said. Gettysburg park spokeswoman Katie Lawhon said there are two Benner Farms in Gettysburg, and one was known to be a hospital during the war. She told the York Daily Record that in her two decades of working in Gettysburg, she had never heard of a soldier’s remains being offered for sale. The Battle of Gettysburg, which raged from July 1 to July 3, 1863, claimed more American lives than any battle in American history. Nearly 8,000 Confederate and Union soldiers were killed and more than 46,000 wounded as the forces of General Robert E. Lee were driven back. It is considered to be the turning point of the war. Today marks the 151st anniversary of the Battle of Gettysburg. The battle began on July 1, 1863, and lasted through July 3. Prior to the battle, Union forces, coming from the south, collided with Southern troops travelling from the north. After the first day of battle, General Robert E. Lee’s Confederates were victorious, but by the end of the third day, following Pickett’s famous charge, the battle was considered to be a draw. It wasn’t until several days later that Union General Meade’s Army of the Potomac learned they had won the fight. The battle was a pivotal one in that, from that time until April 1865, the Union army started winning battles, and ultimately won the war. Every year, a large reenactment takes place in Gettysburg, and this weekend is no exception. Last year’s event was colossal, since it was the 150th anniversary of the battle. However, thousands of reenactors from all over the country are expected to participate in this year’s event, which is called “The Last Great Invasion.” Reenactors wearing authentic clothing and using authentic weaponry camp out over the weekend in Civil War tents. A period ball is held, complete with ladies dressed in beautiful gowns. Battles are staged, as well as living history demonstrations. An estimated 100 cannons and 400 horses (cavalry) will be involved. And for the first time, “Traveling Tara” will be there, which depicts everyday life in a Civil War home. The name is taken from Tara, Scarlett O’Hara’s home in Gone With the Wind. The battle reenactments will take place on the Yingling farm – the same site where the movie Gettysburg was filmed 20 years ago. On Monday, July 7, the National Park Service has granted permission to stage a photo shoot on Little Round Top and Devil’s Den. This is the first time they have allowed it since 1992, when The Killer Angels was filmed there. Reenactors are invited to participate. All in all, the presentations during this weekend will be nothing less than spectacular, and will give spectators a glimpse of what fighting and living during a Civil War was really like.